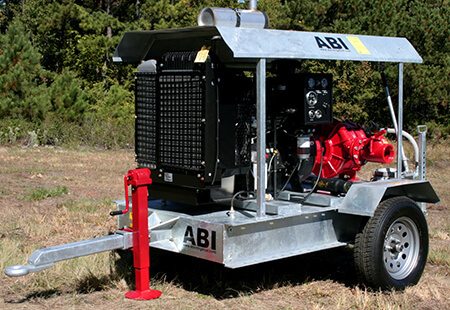 ABI Irrigation has been a leader in the supply of agricultural irrigation equipment since 1979. 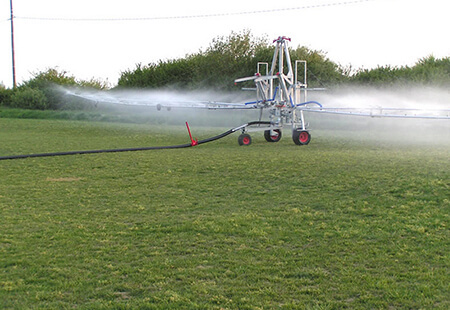 We pride ourselves on easy to operate, efficient, high-quality equipment and the ability to provide everything necessary to help you put water where you need it, when you need it. 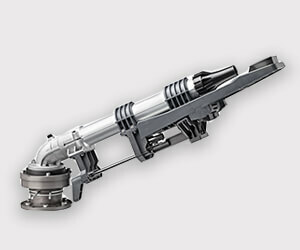 Whether you call it a hard-hose traveler, a hose-reel, or a water reel, ABI has the equipment you need. 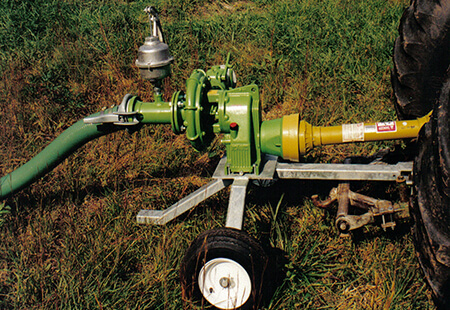 Our product line includes galvanized irrigation reels, pipes, couplers, storage tanks for water and chemicals, fresh water pumps, wastewater pumps, irrigation booms, primers and more, and pumping units that run on diesel, propane, or natural gas. 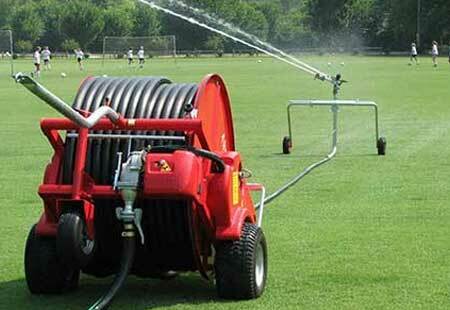 Our personal service sets us apart from other irrigation suppliers. 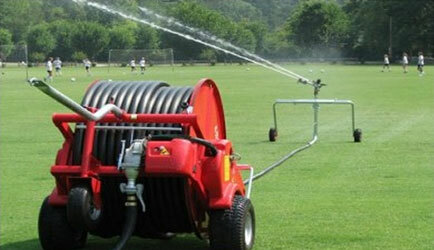 Call today and let us help you with all your irrigation needs. 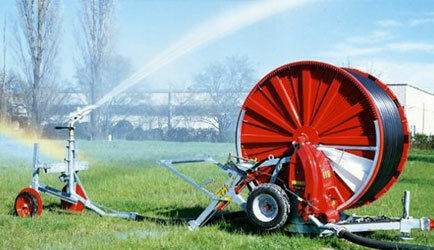 The GX series professional hose reel irrigators provide economical irrigation from 3 to 13 acres per pull. 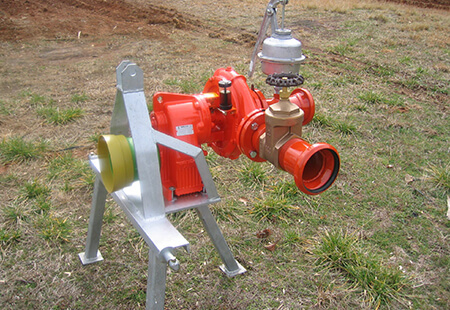 The JX series professional hose reel irrigators provide the operator with simple set-up and operation with fingertip hydraulic controls. From 8 to 18 acres. 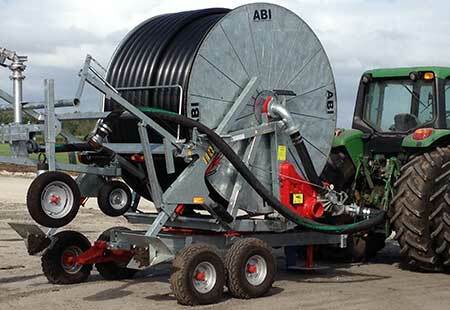 The Micro Series Irrigation Travelers from ABI are ideally suited for sports fields, landscape areas, horse arenas and small acreage farms covering from.5 to 3.2 acres per pull. Low-pressure fully galvanized irrigation booms are ideal for situations where high wind conditions are a problem or where extremely light applications are required for seedbeds and delicate crops. 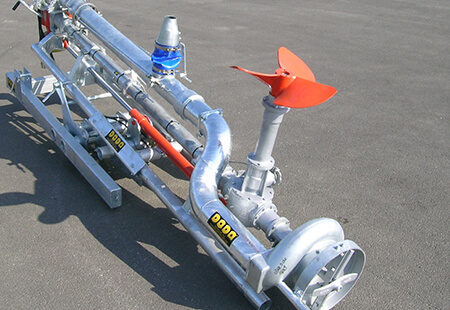 Our engine drive pumping units are carefully selected to produce the most cost-efficient and reliable system for the grower. Ideally suited for a wide range of irrigation applications including irrigation travelers, drip, pivots, sprinkler lines and flood work. 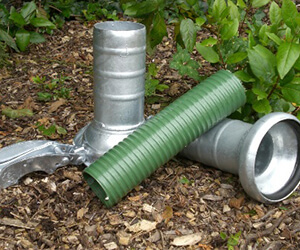 A true leader in the field of pumping highly fibrous sludge and slurry, suitable for pumping animal dejection’s in installations requiring high operating pressures and are also great for irrigation. 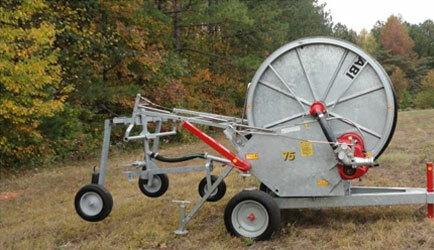 Offering a broad variety of manure handling equipment including roller, screw and rotary separators, mixers, aerators, umbilical equipment, cleaning and accessories to solve waste handling issues in agricultural, municipal & industrial waste industries. 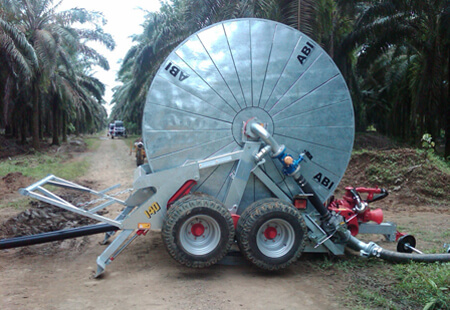 Assuring complete versatility in applications including irrigation, road construction, water delivery in mines, civil projects, suction lines, dewatering, by pass lines, and the chemical and food industries. ABI has teamed with some of the top manufacturers of sprinklers to operate with our travelers, municipal solid-set waste water systems and industrial applications requiring accurate, simple yet efficient water dispersal. 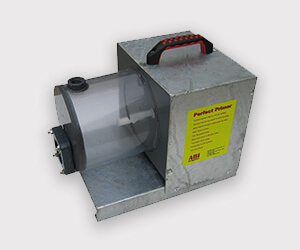 Here at ABI, we offer AC or DC units for a variety of applications. 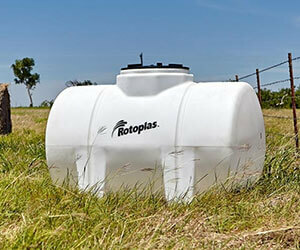 Ideal for irrigation and slurry pumps, pivots and many more applications. Whether it’s tending to livestock or working the land, our innovative storage technologies ensure that you’re able to get the job done.